Discover the truth – which county is Ipswich in? Famous for being one of England’s oldest towns and its maritime history, Ipswich also has an array of buildings hailing from many diverse historical eras and played an integral part in the Tudor-period Wool Trade. Amongst many other roles and events it’s become renowned for, this large East of England town is jam-packed with a plethora of points of interest and landmarks to appreciate. As well as the home of SEH BAC, Ipswich town has a population of around 133,000 whilst the build-up area has a population of around 180,000. Which county is Ipswich in? When people think of Ipswich, many question whether it’s situated in Norfolk, Cambridgeshire, Lincolnshire or even The Midlands. Once and for all, Ipswich is the county town of agricultural Suffolk. Located on the estuary of the River Orwell, with the ports of Felixstowe and Harwich just close by, it is one of England’s oldest continuously inhabited towns; if not the oldest. It played an important role under the Roman empire, forming important routes inland to rural towns and settlements via the rivers Orwell and Gipping. Believed to have taken its name from the medieval name Gippaswic (gip translating to ‘corner’ and ‘wic’ meaning port), the town originally took shape between 7th-8th Centuries around its historic dock area. Used for trade since the 8th century, over its extensive history it has also been well-known for housing the first large-scale potteries in England since Roman times, as well as trading Suffolk cloth with neighbouring Europe. Between the 14th and 17th Centuries, the town was used as a foreign trading post for imports and exports to the Baltic regions. However, during the German bombing raids of World War II the docklands area was completely decimated. Today, it’s undergone major rebuilding and regeneration works, mainly developing the waterfront area into a thriving residential and commercial hub. We’re sure you’ve heard of the Canterbury Tales, by Geoffrey Chaucer? Known as the ‘Father of English literature’ and the first poet ever to be buried in Poets’ Corner of Westminster Abbey, Chaucer parodied the merchants of Ipswich in this renowned, literary classic. One of the greatest novelists of the Victorian era, Charles Dickens also stayed here in 1835, using the town as a setting for scenes in his first novel The Pickwick Papers. Admiral Horatio Nelson, along with Lady Nelson, moved to Ipswich in 1797 whereupon Lord Nelson was appointed High Steward of Ipswich in 1800. Other notable residents of Ipswich include Tudor Cardinal & Henry VIII’s closest political ally Thomas Wolsey, the portrait and landscape painter Thomas Gainsborough, the Daily Express cartoonist “Giles”, convict chronicler Margaret Catchpole who infamously escaped from Ipswich Gaol and, returning to the present day, The IT Crowd’s Richard Ayoade was also bought up here. 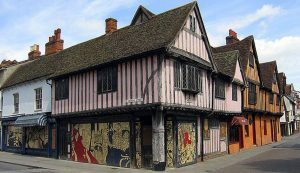 Covering a wide spectrum of architectural periods to explore, this fine town has some exquisite examples of early timber-framed buildings and a number of Tudor and Elizabethan structures. Interlaced with modern architectural offerings, explore this culturally rich town where you’ll come across the likes of the Tudor Christchurch Mansion in Soane Street, the 19th century Queen Anne Revival architectural style of Ipswich Museum on Ipswich’s High Street and the contemporary stylings of the ever-changing Ipswich Waterfront; to name but a few. 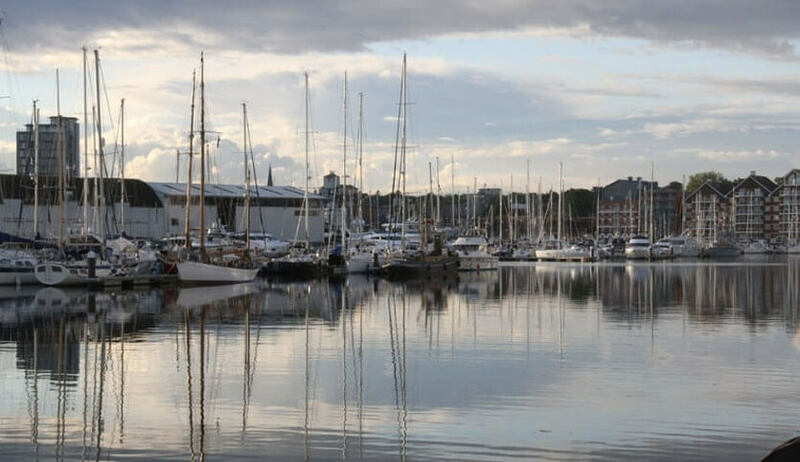 Surrounded by the beautiful Suffolk countryside and coastline, Ipswich is a town known for its world-acclaimed culture, food & drink, wonderful waterfront combined with a rich tapestry of multicultural history to immerse yourself in. So, if you live in the area and wish to improve your home to boost its value and/or your family’s overall enjoyment then please consider visiting our extensive Ipswich show centre situated on the Whitehouse industrial estate. Or contact us to see how we can help to get your project off the ground.